What do you instinctively do when there’s a pain on your back or anywhere on your body? Most people would intuitively stroke, rub or massage the painful areas to relieve the pain. What if the pain is acute, chronic, or won’t subside after a while? You will have to rely on the doctor’s recommendation to find other pain controlling method. Among them, TENS is the most effective and quick choice for pain relief. It is trusted by doctors and stands strong through various researches. In this article, we will explore applications of TENS in professional medical uses. Read on to know why doctors from all over the world trusts in TENS devices to rehabiliate their patients. Throughout history, mankind has used many methods to stimulate the skin to relieve painful conditions. The most common methods include heated packs, cold ice, massage, laser, and acupuncture. Last but not least, the recent year has seen the rise of using electrical currents to ease the pain. Electrical currents have the capacity to excite the body tissues, including tissues in nervous system. Hence, the electrical currents can be used to stimulate local areas on the body to reduce pain, which is also called electrotherapy. The pain relief comes quickly and effectively because the electrical currents come in direct contact with the skin. With a Transcutaneous Electrical Nerve Stimulation device, as known as TENS units, the electrotherapy is made more accessible for everyone who needs them. In fact, since the launch of TENS units, the products have become one of the most used non-pharmacological devices to relieve pain. Let’s examine the efficiency of TENS in medical practices. 1. Low TENS: has electrical pulses that are of low frequency and high intensity. When applied, the patient feels a sharp, twitching stimulus. The low TENS also induce the brain to release feel-good substances, like an opiate, at a low level. 2. High TENS: has electrical currents that are of high frequency and low intensity. 3. Bursting TENS: has electrical pulses that are short, of high intensity and high frequency. They can provide up to 1 – 5 pulses in a second. This type of TENS combines the benefits of both conventional and electroacupuncture TENS. What is TENS, and what are its indications? Generally speaking, TENS work by delivering electrical currents to the surface of the skin, stimulating the nerves existing there. People can use TENS by itself, or adjust it to serve as the core treatment for the management of any type of pain. TENS units are also commonly used to manage the symptoms that associate with pain, such as ileus, vomiting, nausea, incontinence, constipation, nerve damage, healing of wounds and disturbances in psycho-motor. Why is TENS trusted by so many? One reason that makes TENS popular with many people is that it is non-invasive, therefore easier to administer. Compared to other drugs or therapies, TENS has fewer side effects and no drug interactions. Anybody can use TENS by themselves for self-administration, and can up the dose as much as they need because TENS won’t cause overdose or toxicity. In most patients, the effects of relieving the pain of TENS are immediate. With that said, there are still some patients who have to wait for the pain relief to take effects. In all case, the prolonged effects after treatment are evident. The benefits of TENS does not end at that. In comparison to other long-term drugs for pain management, a TENS unit is more affordable. It only costs an upfront price of buying the unit and a small running cost for batteries. TENS units are used by people all around the world. In every country, the device can be bought directly over the counter. The appearance of the Internet helps people in need to buy TENS in just a click. TENS is readily available for those who have the small sum to buy it. However, this also poses the problem that some individual uses TENS to relieve their artificial symptoms of pain and doesn’t address their deeper cause of illness. If you are going to buy a TENS units, we strongly recommend looking for medical professionals consultants before purchasing the product. That way, the health-care practitioner can access whether a TENS unit is appropriate for your condition, and how to get maximum benefit from TENS therapy. Where can I find a consultant about the use of TENS? To ensure that you can use TENS techniques safely and effectively, find a practitioner who is experienced in the practice of TENS to receive assessment, and trials are of utmost importance. “But where do I find an experienced medical practitioner of TENS?”, you may ask. The health-care specialist should be professionally qualified well enough to supervise your use of TENS. On the other hand, health-care trainers and senior patients who have used the devices for a long time are also capable of the task. Despite the popularity and evident efficacy of TENS there still lies skepticism about whether the device works well. Some researchers have tried to determine the actions of TENS on a human body is a mere placebo effect, or if TENS really deliver beneficial effects in pain management. The experiment they conducted to find out the results involving using two TENS unit, one with batteries and one without batteries to place on the pain area of the patients. The theory was that if TENS devices only give out placebo response, then the unit without batteries will work as well as the one who doesn’t have batteries in it. The results come out with the advantages lie with the running TENS unit that has batteries in it. Which proves that the effects of a TENS unit is real, and it can really affect the tissue artificially and under the skin. In fact, the UK National Health Institute recommends using TENS for short-term pain relief. In America, The Spine Society officially recommends using TENS for chronic lower back pain. There are mixing comments for evaluating the clinical effectiveness of TENS, however, the vast majority conforms with its use for back pain management. Historically, the TENS units was developed by Dr. C. Norman Shealy. Nowadays, it is used widely by both bio-physical practitioners and conventional medical practitioner to manage pain. The TENS unit has been sold commercially since the 1970s. Now, let’s look into scientific trials that have shown how well TENS units can help patients deal better with pain. First off, let’s look into the mechanisms of pain and how TENS stop the brain from feeling pain. Pain is a sensory, or emotional experience, that is unpleasant. It associates with potential or actual tissue damage. Pain evokes human to feel unpleasantness. It makes us “want to do something” in response to the pain sensation. The treatments of pain all focus on reducing the activity of the system of nociceptive, whether in pharmacology and non-pharmacology. This applies true to the TENS units. Pain is one of the biggest problems in health-care. In fact, more than 30 percent of the general adult population in the world has a problem with chronic pain. Even in the European countries – the more developed countries of the world, 40% of the population reports that they don’t have adequate means of manage pain. The same number of respondents report that they don’t feel satisfied with the pain management provided by public health care centers. Even more alarming, 64% of those who were surveyed says that they couldn’t control their pain with only drugs in the past. TENS units stand as a common, reliable and affordable method of relieving pain for these patients. TENS units work by blocking the pain signal so it won’t transmit to the brain. Some researches have shown that the TENS stimulate endorphins productions, which is a hormone that reduce pain in human body. This electrotherapy device sends pulsed electric currents to the electrodes. Electrodes are attached to the skin, these electric signals, in turn, displace the pain signals from the affected nerves. Thus, the pain messages no longer reach the brain, and you won’t feel pain anymore. Low back pain happens when your back is not in its orginal condition. Most commonly, it comes when your back muscles are in strain for a long period of time. Minor injuries cause derangement in your lower back. It happens when you lift a heavy object inappropriately. Sudden deceleration also often leads to back pain, the most common examples are in car accidents. These patients arere often infected with acute pain, and stay in unusual postures because of the spasms coming from he sacrospinal muscles. In such conditions, the pain is majorly confined to the lower part of the back, and always subside when the person takes a rest. Another major cause for chronic back pain is the protrusion of lumbar intervertebral discs. The pain, in this case, is recurrent, and affect both the lower back and the leg. The patients can experience relief immediately with the help of electrotherapy such as TENS, with an anesthetic agent, or with local infiltration. How useful is TENS for managing lower back pain? The patients who suffer from low back pain have been soothed by the use of TENS since its launch more than 50 years ago. This type of electrotherapy is considered one of the biggest advances in the medical world. How well it accelerates the patient’s recovery. TENS is most useful when installing in the acute phase. The patient should keep using it for 1 – 3 days in this acute period. Instruction for proper posture in mobility and activity also enhance the success probability. Many doctors also report the usefulness of TENS for chronic low back pain for their patients. The case is especially true for straining pain, and post-traumatic low back pain. After TENS treatment, 45% of patients are reported without a disability, and another 36% are capable of rejoining the workforce. When the researchers follow up 6 months later, 89% of the respondents report that they still benefit from the use of TENS, more than half of them (57%) need less medication for their pain and 59% experience better-sleeping patterns. A lot of researches also support this statement. in 1983, a report showed that TENS relieve upper back pain effectively, which the pain reduction effectiveness higher than 50% in a few days time basis. In two years, one in five patients continues with the daily treatment of TENS. In another experiment aims to compare the effectiveness of TENS, electroacupuncture and placebo, the patients in treatment with TENS show a higher percentage of pain relief. Moreover, the patients who were applied with TENS has long-lasting relief, and the soothed period is much longer than when using electroacupuncture. After the experiments, the patients who were trialed with TENS units wanted to continue using them. There are significant benefits for acute spinal cord injuries patients when treated with TENS. In this case, experts recommend placing the electrodes on two sides of the abdomens. It is more ideal to place the electrodes on the lower quadrants of the site of injuries. The operation should be on for three consecutive days until the patient won’t feel any more pain, or until the patient experience bowel movements again. The extent that TENS work for acute spinal cord injuries is significant. All patients with this unpleasant condition can benefit from treatment with TENS. In 1979, a study on 20 patients with rheumatoid arthritis that leads to severe wrist pain was conducted. After treatment with the highest intensity TENS possible for wrist pain, patients report significant improvement. A 25-minute session produces 50% more pain relief than the group that gets placebo treatment. From this article, we can conclude that the medical use of TENS is good for pain management in varied conditions. These conditions include chronic pain, phantom pain, post-operative pain or obstetric pain. The effectiveness is confirmed by researches, professional medical use and by patients for the last 50 years. We hope you have more confidence in buying and using TENS unit for pain management with this post. Before, essential oils are considered as luxury: only a few household appreciate its prowess in the healing and stress-relieving department. How times have changed: in the year 2014, the market demand for global essential oil is 165 kilo tons; come 2018 it became almost 227 and experts are saying that the compound annual growth rate could be as high as 8.6% up to the year 2025. With the growing demand, essential oil brands keep coming into the market so fast that consumers like us are having great difficulty in choosing the best brands. More than knowing about how you’ll choose a brand, in this article you will also know about the top 7 best essential oil brands in the market. Are you ready? Most of the time, we use customer reviews as a guide on what to buy and what to just remain in our cart for the foreseeable future. Still, we both know that doing that is like going through the endless isle of brands half blind because we’re looking at what worked for them and praying that it will work for us too. So here’s the game changer; look at these elements next time you plan to buy an essential oil. Purity – the effectiveness of essential oil depends largely on its purity. Take note: some companies use chemical fillers to increase the volume of the product AND sell it at lower price (since 100% is expensive); some even suggest that mixing additives boosts the potency of the oil. Unless they reveal scientific research, don’t listen to them. Essential oils are still best when they are bottled 100% pure. Membership in reputable institutions – other brands may lie about the authenticity of their essential oils but that is less likely if they (or their retailers) are a member of a renowned, regulatory institution such as the NAHA or the National Association for Holistic Aromatherapy. Safety – since some essential oils are meant to be ingested, FDA has released brands that are “Generally Recognized as Safe”. If the brands say their oils are not food grade, then check for other tests they underwent to prove that they are safe to be inhaled or be applied on skin. Do this checking especially if you see labels such as “Therapeutic Grade” because this term is unregulated – meaning anyone can claim that their essential oils are of therapeutic grade quality. Customer Service – A product is more reliable if their customer service can be reached easily. In a brand, look for toll-free hotlines, website, or email address. Contact one or more of them and ask specific questions about the oil you are thinking of purchasing. Gauge their response and see how well they know their product. Price – Last, but definitely not the least, look for the price. Premium high quality and 100% pure essential oils are generally expensive than the others, so if you see such labels and note that their price is cheap, be careful. Still a lot of brands offer affordable oils without compromising the quality; you just need to check the reviews and of course see for yourself. We’ll make it easier for you to choose your next brand by enumerating and reviewing the 7 best essential oil companies in the market according to our product research and multiple customer reviews. As of now, this brand is in the market for 25 years! That’s a great accomplishment since essential oils only became viral these past years. What’s great about Young Living is that they make sure of the quality of their product by supervising it from the start up to the point when they are marketed by their retailers. Their seeds are harvested from various farms worldwide giving them the advantage of producing more arrays of oils. Their manners of production range from steam extraction for distillation, cold pressing, and resin tapping – all of which produce effective essential oils and are in accordance with the DSA ethics. One of the most impressive things about Young Living is that they give personal customer support. The only thing considered a downside in this brand is its price; compared to others, this brand is costly. Still, with excellent quality, it’s a great trade off. Healing Solutions may not be a staple if you always read essential oil reviews, but head over to Amazon and you’ll realize that they are one of the best-selling brands, with more than 5,000 reviews on just one product. Their website says that they have a full-time, in house Essential Oils scientist which guarantees the purity in every bottle. Additionally, their products underwent extensive in-house GCMS testing; currently the company is planning to publish the results for all their products. GCMS, short for Gas Chromatograph Mass Spectrometry, tests the individual components of an essential oil to check for its purity and quality. A company that does this test gets points for diligence. Read the appraisal and endorsement for this brand here. This brand is fast becoming a staple in many households. In their website, Edens Garden pledges that their products are 100% unadulterated. Moreover, the essential oils’ test results including the Materials Safety Data Sheets are available upon request. As for safety, they have a 3rd party GCMS testing centre which checks their oils at the highest standards. Built in 2009, this company is relatively newer, but their confidence on their product is commendable; offering a 30-day Money Back Guarantee should consumers not like their oils. The customer service is also approachable, offering as many channels as they can to accommodate questions. If you’re looking for affordable, high-quality products that come in a set, Edens Garden is the way to go. doTERRA is taking quality checking to a whole new level by creating an internal CPTG testing process. CPTG stands for Certified Pure Therapeutic Grade. This means that in every bottle, there is only 100% pure essential oil. They also undergo the GCMS test as explained in their website. Founded in 2008, the pioneers of this company are known science professionals, some of whom previously worked in Young Living. The most impressive thing, however, is their Global Botanical Network. This scheme allows them to work with distillers and farmers from across 40 countries. The most common way of production is steam distillation and cold pressing. Two things about doTERRA though: they are quite expensive and the test results are not published in their site. Since NOW Foods are already in the market for 5 decades, it’s not surprising that they have an assortment of natural food products and dietary supplements up their sleeves. It’s also not shocking that they enter in the essential oils business since oils are also ingested for therapeutic purposes. The products are 100% pure, except for the jasmine blend which uses synthetic scents due to the extremely expensive price of jasmine oil. Transparency-wise, NOW Foods have published their Materials Safety Sheets in their website for each of their product. Aside from having an in-house quality testing, they also use third-party laboratories when needed. The only problem about NOW Foods is how they handle customer service: there is a list of phone numbers, but there’s no toll-free line. What they have is a feedback form to be responded to via email. This company made its launch in 2011 with the goal of providing premium quality essential oils at affordable price. Even though Plant Therapy is relatively young, they know the importance of transparency in the market, thus, if you want to know about their oils, all you need to do is go to the product page and scroll down for Test Results which you can download in PDF format. More than that, you can also see the Materials Safety Sheet for each essential oil. Plant Therapy uses a third-party testing center for their quality checks. While it’s true that this company is still a baby and in great need of customer reviews, the quality of their product and its affordability make up for it. Like NOW Foods, Rocky Mountain Oils not only specializes in essential oils – they also have products for skin care, wellness, and nutrition. Although they started way back 2004, only 6 of their products are organic according to the USDA; but no worries because they use a third-party laboratory to check for the purity of their oils through the GCMS. Because they are confident with the grade of their oils, they offer a 90-day Refund Policy should you find anything unsatisfactory with their products. When it comes to customer service, they have a 1-800 number which you can call on weekdays from 7 in the morning to 5 in the afternoon. That’s it! The 7 Best Essential Oil Brands in the market as of now. My suggestion is for you to make a quick tour to their website to see for yourself. Remember that you can test their oils by purchasing their least expensive variant. Don’t hesitate to contact their support team and download the resources available in their site to facilitate your own, little investigation. Live better with essential oils! If you’ve been around for a decent amount of time, you’ve likely heard of essential oils and their various benefits. You’re also probably at least somewhat aware of the fact that essential oils can be applied and ingested in multiple fashions. However, what you might not know is that essential oils should be used differently for individuals in various categories. This is especially true as it pertains to the elderly. While essential oils can be helpful for the elderly, it’s important to note that all essential oils are not created equally. When allowing the elderly to come into contact with these substances, it’s very important that they only have exposure to the best essential oils companies. Before we cover the best essential oils companies and the oils which heal various ailments, it’s important to note that there are various methods of applying essential oils. Some methods are better than others, depending on the oil and the purpose of taking them. Ultimately, the various method of use comes down to a judgment call. Check this post to learn more about how to use essential oils effectively. At this point, you’re probably wondering which essential oils are most suitable for the elderly. However, this depends upon the purpose behind the use. As previously stated, essential oils are not created equally; this means that different oils serve different purposes. If improving sleep quality and calming down emotionally are your goals, then you may find lavender to be one of the best essential oils. 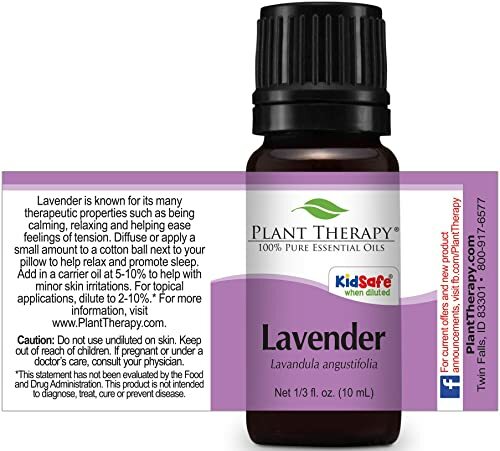 Lavender essential oils are widely known to improve emotional states and serve as antidepressants. Due to the nature of lavender essential oils, they are best applied topically or via inhalation. Elderly people who suffer from Alzheimer’s disease, restless sleep, anxiety, or disempowering emotional states will find lavender essential oils to be helpful. 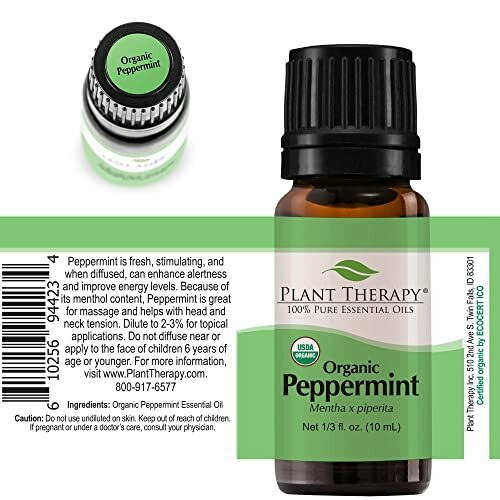 Peppermint essential oils are well-known as substances which calm nerves, improve concentration and memory functions. For these reasons, peppermint essential oils can be incredibly advantageous for elderly people, particularly those who are dealing with certain health issues, such as dementia, depression, anxiety, etc. Peppermint essential oils are best applied via inhalation; one of the best ways applying this method to elderly people is via a nebulizer essential oil diffuser that uses no water. This allows elderly people to gradually ingest essential oils without overdoing it or upsetting their bodies by taking in too much at one time. Similarly to lavender and peppermint essential oils, Rosemary essential oils have been known to provide great benefits to elderly people. This particular oil is a great fit for elderly people who sometimes struggle with their memory or with successfully carrying out daily tasks. Rosemary essential oils have furthermore been known to slow down the progression of Alzheimer’s disease and improve the recollection of past memories. This particular essential oil is best applied topically or via indirect inhalation. Regardless of how many benefits are associated with any particular essential oil, it’s absolutely critical to ensure that the right precautions are taken. As a general principle, elderly people should be sure that the essential oils of their choice are most advantageous to the ailment which they are seeking to rid themselves of. Even more important is the certainty that essential oils are applied and consumed in a safe manner. The topical application of essential oils is not necessarily ill-advised for older people, but it should be done cautiously. Moreover, it’s very imperative to make sure that there are no “overdoses” when older people consume essential oils. Consuming more than the recommended amount of essential oils will not strengthen or speed up positive results; conversely, “overdosing” on essential oils can actually cause great harm and be physically upsetting, especially for older people. Essential oils are a subject of intrigue for many consumers. Individuals who are fascinated with these oils often wonder which oils are best for them and how they should be applied. It goes without saying that there are many essential oils which currently exist on the market. Each oil comes with its own benefits; some promote the alleviation of pain and cold/flu symptoms, while others are better for balancing hormones, remedying unwanted skin conditions and more. Nevertheless, anyone who wishes to make the most of essential oils must first know the best ways to use them. While each of the aforementioned steps can be employed for essential oil usage, they fail to scratch the surface. Whether you are a longtime user of essential oils or brand new, there are precisely three avenues in which essential oils can be used. The preceding application methods merely serve as extensions of the three main avenues. If you’re looking for detailed and thorough explanations of the aromatic, topic, and internal uses of essential oils, you’ve come to the right place. Stay with me. As the name suggests, the aromatic use of essential oils involves purposeful inhalation. People who choose to aromatically use essential oils generally do so by diffusing them into the air, adding drops of the oil to cotton balls, pillowcases, or other household objects which they may frequently come into contact with. Additional aromatic methods of essential oil use include the use of humidifiers, natural room deodorizers, placing the oils in a fan/vent, or even treating the oils as perfumes or fragrances. In most cases, aromatic use of essential oils is generally regarded as the easiest and safest method. This is especially applicable for individuals who are not familiar with essential oils. However, like any other method, people who chose aromatic use need to be careful. In the initial period, you’ll want to be sure that your body has a positive reaction to the essential oils which it’s being exposed to. Too much exposure, especially in short time periods, can upset the body, cause headaches, or prompt other undesirable reactions. Moderation is paramount. 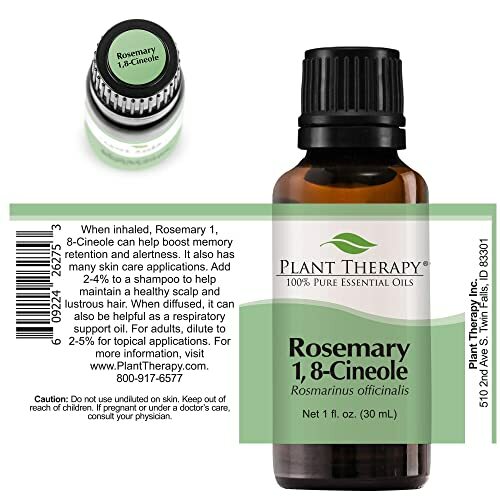 The topical use of essential oils involves direct application to the skin. In most cases, the oil would be applied on areas of the skin which are in need of improvement or aid. Some common examples of topical application include placing modest portions of the oil on the wrists, palms, back of the ears. However, these are not the only places where essential oils can be applied. Of course, it goes without saying that the designated area of topical application should align with the purpose of the chosen essential oil. For instance, if you’re looking to rid your body of tension, then placing small amounts of essential oils on your neck, temples, or forehead would be advisable. Conversely, if you require essential oils for the sake of clearing up your breathing patterns or reducing body sensitivity, then the best places for topical application would be the chest or soles of your feet. Before diving into the topical use of essential oils, proceeding with caution is absolutely paramount. For this reason, you are advised to engage in partake in an exercise known as the “patch test.” The patch test is very simple; all you need to do is take two drops of the essential oils and apply them to a small spot of skin on your forearm. After doing this, monitor the area to see if any allergic reactions take place. Employing the patch test as a means of caution is always critical. You’re unlikely to experience allergic reactions from topical application of essential oils, but if you do, it’s better to occur on a small area of skin, rather than on a larger scale. The internal use of essential oils involves literally ingesting them into your body. In most scenarios, internal use of essential oils is done by cooking them into foods, mixing them in with drinks, or even placing drops of the oil in capsules and later swallowing them. When regarding this particular method of consumption, it’s important to understand that less is more. When used internally, just a few drops of essential oils at one time can work wonders. You should never consume an entire bottle at once. Different people use essential oils for various reasons and purposes. Most users have their own preferences and desired methods of consumption. However, not all essential oils should be consumed internally. For this reason, doing your research and ensuring that the oils of your choice are safe for internal consumption is strongly recommended. As the old saying goes, it’s always better to be safe rather than sorry. If you are not particularly well-versed with essential oils, you may be wondering which method of use is most advisable. The truth of the matter is that there is no one answer. Each essential oil comes with its own purpose. Being aware of the product you’re purchasing and knowing which methods of use are best will prove to be helpful throughout your journey with essential oils. If you’re still getting acclimated to essential oils, you may find that aromatic use is the best method, at least for now. As previously stated, aromatic consumption of essential oils is generally regarded as the safest. Even if you are familiar with essential oils and trying out a new one, you may also benefit from initial aromatic use. Topical and internal consumption usually work well with familiarity. At the end of the day, only you can determine which method of use is best for you. Hopefully, this article was helpful and provided some relevant and useful information. Potassium is one of the several minerals which are essential to the health and optimal function of the body. It contributes to strong healthy muscles as well as keeping the heart in a good state. However, the amounts of potassium consumed and the levels in the body need to be the right balance because too much potassium in the body is harmful. In fact, for those with some conditions like kidney disease, too much potassium in the body is dangerous. This is a problem with older persons, therefore, we shall look at what causes high potassium levels in the elderly. Having too much potassium in the body leads to a condition called hyperkalemia. Hyperkalemia occurs when the potassium levels in the blood go beyond the normal range of 3.6 to 5.2 millimoles per liter of blood. The elderly are particularly prone to high potassium levels and should ensure that they keep the levels of potassium in their body within the right range to stay healthy and prevent the risks. High potassium levels affects the muscles leading to muscles fatigue and weakness of the muscles which can result in paralysis. It can also cause other dangerous problems for the body such as fluctuation of heart rhythm which can cause a condition called ventricular fibrillation- this condition causes the lower chambers of the heart to flutter rapidly instead of pumping blood as it should, and other heart problems which can be deadly. The common cause of hyperkalemia is kidney disease or interference with kidney function. The kidney works to ensure that there is a right potassium balance in the body by filtering out excess potassium from the blood, therefore, in a case where the kidney does not work properly, the right balance will not be maintained. The hormone aldosterone monitors the levels of potassium in the blood and alerts the kidney to any irregularities- where the production of the hormone is interfered with such as Addison’s disease which leads to a decrease in the levels of the hormone. Reduced hormones means that the kidney will not regulate minerals properly and allow a buildup of potassium in the body. Some medications can lead to high potassium levels by interrupting the kidney’s potassium filtration and secretion process. Some diuretics and nonsteroidal anti-inflammatory medicines interfere with the kidney’s ability to filter out excess potassium from the blood. The other way of having high levels of potassium is by eating a lot of potassium rich foods such that the body has a high concentration of the mineral. Foods like prunes, raisins, high-potassium yogurt, tomatoes and bananas are great to eat because they are nutritious and soft but have high in potassium content. Salt substitutes are often used for lowering blood sodium levels but also increase potassium levels in the blood. The higher concentration of potassium may not be a problem for many people but can be a problem for those who already have a potassium filtration problem in the kidneys such that not enough is excreted. Potassium supplements is often prescribed to the elderly to help correct low levels of potassium and this can lead to elevated levels of the mineral in the body. However, as much as it is helpful, taking potassium supplements can lead to high levels of potassium in the blood. There are several indicators that can help you and doctors determine if you are suffering from high levels of potassium in the blood. We have already mentioned signs like irregular heart beat or rhythm but there are more signs which point to the problem of hyperkalemia. Irregular heart beat or rhythm, also called arrhythmia, which can be life threatening. High potassium levels in the blood affects how the heart works. Apart from arrhythmia, high potassium levels causes the heart rate to slow down. You will have a general feeling of weakness. Apart from general weakness, muscle fatigue is a common occurrence in those who are suffering from a high concentration of potassium in the blood. In extreme cases, the muscle weakness can result in paralysis. Potassium elevation in the blood will also lead to nausea and vomiting in some cases. If you suspect that you have a problem with high potassium levels, you should consult your doctor for a diagnosis and advice if you are proven to have elevated levels of the mineral. If you are found to have high potassium levels, you will have to look at your diet and ensure that you stick to a low potassium diet by avoiding the consumption of too many foods with a high potassium content. Get information on the right diet for you and avoid eating too many bananas, potassium yoghurt, milk etc. which can cause hyperkalemia related problems. Salt substitutes are often prescribed for elderly people and some which have been found to be bad for people with kidney problems because they interfere with minerals filtration and secretion. Slat substitutes that are high in potassium should be avoided. Most herbal remedies and supplements are made from ingredients which can lead to a rise in blood potassium levels. In fact, people who are already dealing with kidney problems should not take herbal remedies or supplements. You should consult your doctor before you take any herbal products. Diuretics or water pills will help you excrete excess potassium from the body by triggering the kidneys to produce more urine thus flushing out the excess mineral in the urine. The other potassium flushing medicines are called water binders, which is a powder. The binders are mixed in a small quantity of water and is then consumed with food. They are called binders because once swallowed, the powder binds to the excess potassium in the gut and excretes it. Now you have the answer to “What causes high potassium levels in the elderly?”. The good news is that there are remedies to the problem of elevated potassium levels in the elderly which you can adapt to control and treat the problem. 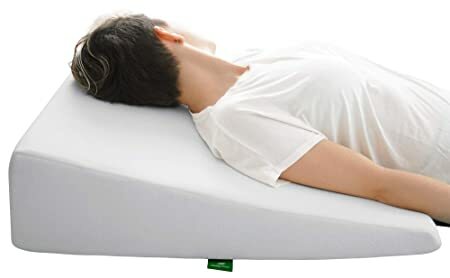 Memory foam pillows are well loved by a lot of users because of their softness, shape conforming abilities and the level of support that they can provide. But if there is one thing that users hate about using memory foam, it is the fact that it is hard to maintain. Should you place the pillow in the washing machine? Can you tumble dry it? Or should it be hand washed? 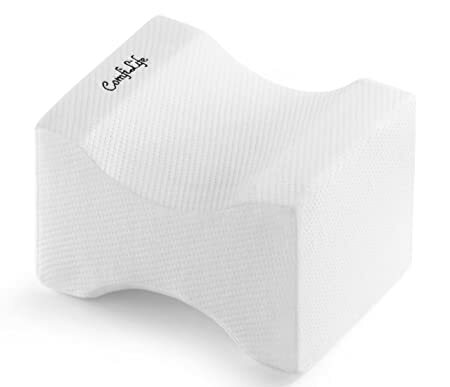 What are the other things that you should think about when cleaning your memory foam pillow? These are some of the questions that we will address in this article. 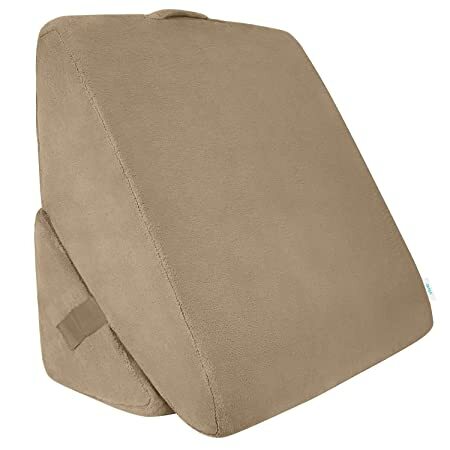 If you have found the best memory foam pillow, you surely would want to make sure that it will last for long. The only way to do that is to make sure that you properly maintain and wash your pillow. If you want to know how to clean memory foam pillow, continue reading! There is not one way to clean memory foam. In this article, we will share with you the different ways on how to clean your memory foam pillow. The technique you will choose should depend on the current condition or issue of your pillow. Step 1.1: Remove the pillowcase. Remove the case of the pillow and read the wash instructions stated on its label. Wash the pillow following its care instructions. If no care instructions are provided, try wetting the pillow a bit with cold water. Do this step as soon as possible to prevent the pillow from staining. Pro Tip: To avoid spill problems in the future, it is recommended that you use a liquid-proof pillowcase. After all, prevention is always better than cure. Step 1.2: Soak up the liquid. Moist the towel with a mixture of water and mild detergent. Afterward, dab the moist towel to the affected area to soak up excess liquid. If you have removed the liquid, but a stain has been left behind, you can squirt two drops of alcohol-free dish soap to the towel and continue dabbing the portion that has been spilled on. Pro Tip: Never use hot water for this purpose as the heat will cause the stain to set, making it even harder to get rid of. The towel should only be moist—not dripping wet—as too much water can damage the memory foam. Step 1.3: Blot and dry the pillow. Once you are able to clean up the spill and remove the stain, use a dry towel to blot the pillow. Wring out the towel once it is already too wet but avoid wringing the pillow as the filling might get damaged. When you are able to remove enough dampness from the pillow, let it air dry before putting on its pillowcase. Pro Tip: You can use a blow dryer (in low temperature setting) to facilitate the drying process. If unfortunately, you found some stains in your pillow, you need to wash it right away. The earlier you fix the stain, the easier it would be for you to remove it. Step 2.1: Dab the pillow with a mixture of water and mild detergent. If the stain has already set, the only thing that you can do is to blot and dab the stain with cold water and mild soap. Pro Tip: Use only as little water as possible to avoid damaging the filling of the pillow. Step 2.2: Spray enzymatic cleaner over the stain. If the stain remains, your next step is to spray enzymatic cleaner on the stained portion of your pillow. Once again, you should avoid wetting the pillow too much so spray the cleaner few inches away from the pillow. Let the cleaner sit on the pillow for five minutes. Step 2.3: If you don’t have an enzymatic cleaner, use a white vinegar solution instead. If you have no enzymatic cleaner on hand, create your own vinegar solution. You can do this by mixing one part of white vinegar with one part of cold water. Place the resulting solution in a spray bottle. Lightly spray the pillow with the vinegar solution and let it stand for about five minutes. Pro Tip: To cancel out the unwanted smell of vinegar, add a teaspoon of lemon juice into the spray bottle and shake it well. Step 2.4: Use a damp cloth to blot the area. Slightly moist a towel with cold water and dab it into the pillow and slowly work out the stain. If the stain remains, you can spray it again with either the enzymatic cleaner or the vinegar solution, let it sit and dab it with a moist towel. Continue doing this until you have removed the stain. Pro Tips: No matter how stubborn the stain is, refrain from scrubbing the pillow or soaking it in water. You should also avoid using the harsher cleaner as it can easily damage the pillow. Step 2.5: Dry the pillow. Air dry the pillow for 12 to 24 hours. Once again, you can also use a blow dryer set on the lowest temperature. Pro Tip: Avoid putting its pillowcase while it is still wet as doing so can lead to mold growth. If the pillow has no stain but already smells bad, then you need to clean it. You can do that by taking the following steps. Step 3.1: Slightly mist the pillow using fabric freshener. The easiest and fastest way to neutralize unwanted odors is to make use of a fabric freshener. But keep in mind that you should only slightly mist it—not wet it. To do this, place the freshener a few inches away from the pillow and spray it once in a specific part of the pillow. Spray the different parts of the pillow only once. Step 3.2: Sprinkle baking soda over the pillow. Generously sprinkle baking soda on both sides of the pillow. Allow the powder to sit on the pillow for 15 minutes if you are just dealing with basic odors. If the smell is too strong, let it sit for about 30 minutes. Pro Tip: If you do not have baking soda on hand, you can use borax instead. Step 3.3: Vacuum the baking soda. Using a handheld vacuum cleaner, remove the baking soda after letting it sit. This simple step can also get rid of unwanted dust and dirt that have accumulated on your pillow. Pro Tip: If you do not have a handheld vacuum cleaner, you can also use a floor vacuum by putting the hose attachment on it. Step 3.4: Leave the pillow under the sun. The sunlight can get rid of the bacteria and remaining odors from the pillow. Step 4.1: Remove the pillowcase. Wash the pillow case separately. Step 4.2: Apply hydrogen peroxide. Add a few drops of 3% hydrogen peroxide to the stain. The peroxide will bubble. When it does, dab it with a clean cloth until it stops bubbling. Step 4.3: Lightly brush the pillow. After dabbing the pillow, lightly spray it with cold water. Afterward, use an old toothbrush to brush it gently. Step 4.4: Air dry the pillow. Expose one side of the pillow to air for 12 hours. Afterward, flip it over to dry the other side for 12 more hours. Make sure that the pillow is already properly dried before putting on a pillowcase. Step 5.1: Remove the pillowcase. If you wish to achieve the best results, it would be best if you will wash the pillow and the pillow cover separately. Step 5.2: Mix vinegar, hydrogen peroxide, and baking soda. Mix two tablespoons of baking soda, one cup of hydrogen peroxide and one tablespoon of white vinegar. Apply the resulting mixture directly to the stain. Let it stay overnight. If you wake up the next morning and the stain and odor are still there, do the entire process all over again. Step 5.3: Blot the area with a moist towel. Slightly wet a clean towel with cold water. If you wake up to a stain-free pillow the next morning, proceed on blotting the area with the moist towel until you have removed the solution. Step 5.4: Dry the pillow. Air dry the pillow for a day, flipping it halfway to ensure that both of its sides are already thoroughly dried. How Often Should You Clean Your Memory Foam Pillow? Of course, you shouldn’t only clean your memory pillow when it gets stained, wet or peed on. It is crucial that you regularly maintain its cleanliness so you can prolong its life and functionality. Changing your pillowcase at least once a week is recommended. But when should you wash your pillows? According to experts, you need to deep clean your pillow every two months to maintain proper hygiene. But if you have time to spare, you can vacuum and deodorize it at least once a week. In the event that one of your family members have fallen ill, you should clean the pillow right away to prevent the virus or bacteria from spreading. But no matter how much you take care of your pillow, there will come a time that you have to replace it due to normal wear and tear. When is this? 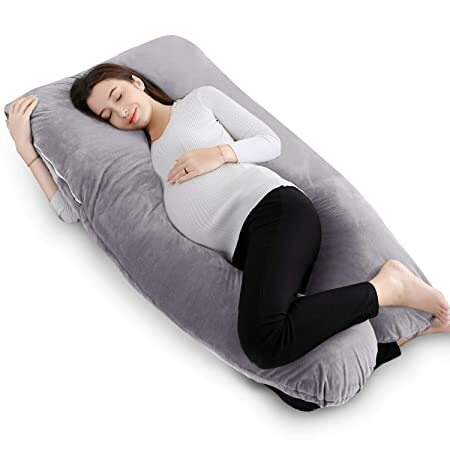 One great thing about this type of pillow is that they are much more durable and will definitely last longer than polyester pillows. While polyester pillows have to be replaced every six months, memory foam pillows are advised to be replaced every eighteen to thirty-six months, depending on its condition. Some of the signs that it’s time to replace your memory foam pillow are sagging, lumps and bumps, permanent stains, needs to be constantly re-fluffed, and undone seams. 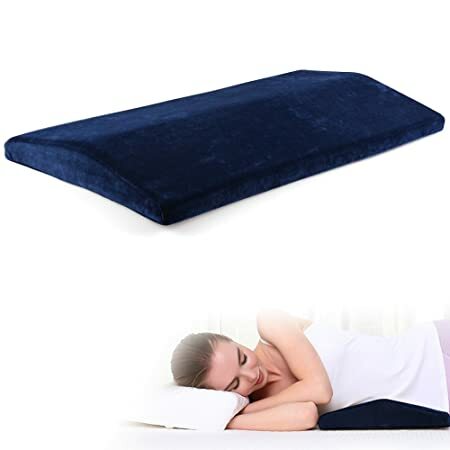 If you are already waking up with aches and pains and usually dealing with headaches in the morning, these are also some good indications that you need a new memory foam pillow. Aside from old age, there are also other reasons why you should replace your memory foam pillow. 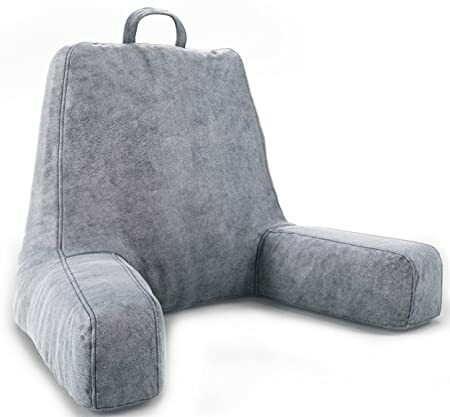 If you decide to switch to another sleeping position, you may need a pillow that is thinner or thicker and bigger or smaller, so you also need to keep that into consideration. 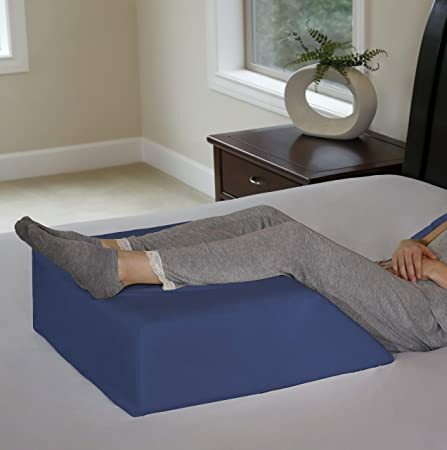 Memory foam pillows provide fantastic support and keep our spine in proper alignment. 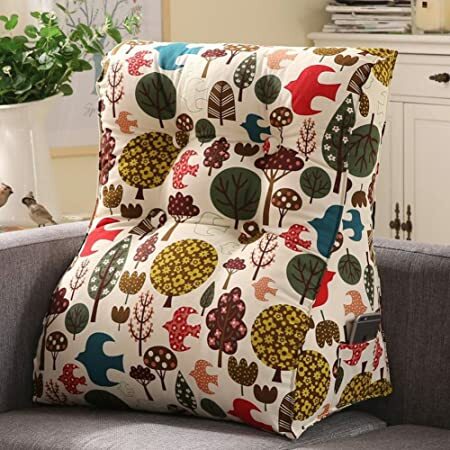 However, this pillow material is also well known for its high price. If you have decided to invest in it, it is a must that you figure out how to clean memory foam pillow properly so you can make the most out of your investment. Sleep has an immense importance in our routine lives and it is known that you might survive without eating or drinking but you will never survive if you are sleepless. Quality of sleep is important at every stage of life but it is important for children and elderly to get the best sleep because of their reduced bodily functions. We just assume that disturbed sleep patterns are caused by old age while it is not always the case. Contrary to the popular belief, it is not necessary for older people to have severe sleep problems in old age. However, sleep problems do occur in majority of the older adults. Quality of sleep keeps deteriorating as we grow older and there are a lot of reasons behind. Sleep problems in the elderly can be caused by physiological changes or psychological changes or even other medical conditions related to old age. To solve the problems related to sleep one should keep the record of sleep patterns. If you are a caregiver or an older adult, then you should keep track of your sleep-awake cycle as well as insomnia, dementia and sleep apnea. First of all, you need to find out how much affect is on your sleep, you should keep a diary and keep record of your every night sleep. The first and foremost step to solve a problem is to identify it completely. So you should keep journal and write every single sleep related habits and patterns in this journal. This journal does not only include your habits of night time but also write your daytime habits. It will help you find out your effects of sleep on your body during the day. You should have following things written in your diary in order to get a clear picture as well as you can easily explain it to your sleep doctor. First of all, note down your timings of going to bed and waking up then number of hours. You should also be clear that going to bed and actually falling asleep are not the same things. You should also note the time between going to bed and actually falling asleep. Your moods and eating habits before sleep, type of drugs you are taking and any specific life events which are affecting your mood. Sleep problems in the elderly are mostly related to circadian rhythm which is the biological clock of our body. Circadian rhythm plays crucial role in our sleep-awake cycle and your whole body system is disturbed if your circadian rhythms are not right. Our body’s biological clock is affected mainly by light as it is the cue to action for our circadian rhythm. Darkness produces a hormone known as melatonin which helps you sleep better. This is one of the reasons that quality of our sleep is not as amazing in the day as it happens during nighttime. Disturbed circadian rhythms cease the production of melatonin and you are likely to feel disturbed and depressed if your circadian rhythms are disturbed. If you are a night shift worker or you work early shifts or even you work on rotation you might have faced this problem. Our circadian rhythm gets disturbed when you don’t have a specific time for sleep or awake. This loss is not even compensated if you increase your quantity of sleep. Your body’s clock is set on a specific time and it needs to be shut down on a proper time and wake up accordingly. It also affects your performance at work and makes you less productive during your shifts. One should take measures to solve the problem and try avoiding shift changes frequently. This is not much serious problem and it is rather temporary. It happens when you cross a time zone to get to the next one. Most of the time jetlag is gone in as many days as you have crossed time zone. For example, if you have crossed four time zones, your jetlag will be gone in 4 days. You might feel sleepy during the day, fatigued and cranky most of the time. Stomach problems are associated with jetlag. It is also said that travelling to east causes most awful jetlag than travelling to a western country. However, it is mostly faced by travelers and do not invite much trouble. It is a sleep disorder which makes you go to sleep late night and wake up late. It is not by choice and most of the time you can’t control your sleepiness. This is mostly a teenager problem because they face this problem more often than the elderly. However, if an elderly faces this problem he/she should visit a sleep clinic and talk to a doctor as soon as possible. Sleep apnea is most commonly known as snoring and it is one of the most commonly occurring sleep problems in the elderly. In some cases, you have trouble breathing due to sleep apnea and it causes regular awakening during night sleep. It decreases the quality of sleep significantly and one should visit a doctor if one has this problem. The uncontrollable urge to move your feet during night is known as restless leg syndrome (RLS). It is also a most commonly occurring problem in the elderly. You can visit a doctor for your problem and you can also use self-help solutions for this problem. What can you do to help yourself with sleep problems? It is good to seek professional help if you are facing any sleep problems but there are few self-help remedies which you can do to help improve your quality of sleep. Improve your eating habits and do not take caffeine, nicotine on any other substance which could be harmful for peaceful sleep. Sleep disturbance is a major problem and it affects all the domains of your life and health. However, you can control this problem by simply changing a few habits in your lifestyle and sticking to healthy habits. If the problem still persists talk to a sleep doctor and sleep tight. Yoga is an easy and safe way to improve both your mental well-being and overall health, especially for people over 60. Yoga for seniors can improve their balance and flexibility. However, that is not all. The benefits of doing yoga when you’re over 60 are countless. Read on to learn everything about yoga for seniors and all the benefits that come along. Can I practice yoga as a senior? Yes, you can practice yoga as a senior. If you are in good health, there is no reason for you not to practice yoga. In fact, yoga is highly recommended for seniors. You will be surprised to hear that in the United Kingdom, 12 million people over 65 practice yoga. Meaning, the popularity of yoga in constantly increasing in the last 3 decades. Physical fitness is important when it comes to preventing illnesses that usually strike people over 60. Also, it improves the mental well-being of the person who’s constantly active. As you can see, you can practice yoga at any age. According to an American study made by Yoga Journal and Yoga Alliance in 2016, over 14 million people over 50 who live in the United States practice yoga. It is believed that yoga for seniors is the perfect activity and key to good health and quality life in the golden years. It depends on your age, health, level of fitness and physical condition which type of yoga is suitable for you. These factors play an important role in choosing the best type of yoga you can practice without any difficulties and health consequences. But keep in mind that before you begin practicing any type of yoga, you should consult your doctor. Where can I find classes for seniors? You can learn how to practice yoga from videos and books. But visiting yoga classes has its benefits. And it is also advisable, especially for beginners. It is better to learn how to practice yoga with the help of a qualified yoga instructor, rather than starting on your own. Plus, you will get useful tips and poses on how to reduce the risk of injury. If you already consulted your doctor and found the perfect yoga type, it is important to know what to wear, what to bring and how to act right before your first yoga class. Fitted and comfortable clothing is perfect for yoga because different types of yoga require different types of stretching. This is why baggy clothes aren’t recommended. However, your leggings or exercise pants will do the job. Also, keep in mind that yoga is done barefoot. However, you can bring your non-slip socks until you get comfortable. You can attend your first yoga class not wearing anything special, however, it’s a good idea to bring your medical ID bracelet, a bottle of water, your doctor’s details to give to your teacher in case you injure yourself or something else happens, a towel and mat. Usually, most places provide a mat for their practitioners for free or at a minimal cost. Keep in mind that you have to take off your shoes, so it is best if you arrive in sandals. We have a few etiquette tips for you when it comes to yoga, although yoga etiquette varies from site to site. In general, it is suggested that you arrive 10 minutes earlier. Also, in order to keep the place hygienic, leave your shoes outside or put them in a bag before you enter the class. Turn your phone to silent mood or turn it off completely. In case you’re still feeling insecure and don’t know what to do before your first yoga class, we provided extra tips you will find useful, especially if you’re a beginner at yoga. Keep yourself well-hydrated: drink a lot of water before and after yoga class. Have a light snack an hour or two before class: heavy food can make you feel sick while practicing. Also, it will decrease your current stretching capacity. Balance trick: If you have a hard time maintaining your balance, try focusing on one spot only. Or simply ask for your yoga instructor to help you out and don’t push yourself. Take your time and ask for advice on best poses to avoid injury. As we mentioned at the beginning, the benefits of yoga for seniors are countless. Not just for seniors but everyone who’s a fan of this practice. Here are some of the main health benefits of practicing yoga from time to time, especially in your golden years. Yoga is the last activity that comes in mind when you want to lose weight, however, it is ideal for seniors who want to lose a few pounds. According to experts, if you practice yoga regularly, it will speed up your metabolism. Slow metabolism is one of the common reason for gaining weight. It also helps you build muscle and increase your heart rate. Practicing yoga can also help you maintain your balance and will improve your posture. And all this results in fewer falls. Balance represents one of the first things all people start to lose when they get older. And balance is important for preventing falls because falls are the leading cause of death among seniors, according to an old report published in 2014 by the Centers for Disease Control and Prevention in America. Doing yoga might improve your agility and mobility thanks to the precise and slow yoga movements. Chronic pain is a common issue among seniors, especially the pain that’s associated with joint problems and arthritis. However, thanks to yoga, you can say goodbye to the pain. It’s a natural remedy for chronic pain. According to a study made by Sonia Gaur of the psychology department at Harbor-UCLA Medical Center, it was proven that people who practiced yoga for 90 minutes, 3 times per week for 4 weeks, experienced a decrease in aches and pain. Also, most of the patients reduced their intake of pain medications. Practicing yoga for seniors isn’t just good for the body but also for the brain in seniors. According to research made by a graduate student, Neha Gothe and her colleagues at the University of Illinois, it was discovered that doing yoga boosts brain function and cognitive ability. If you practice yoga 3 times per week for two months, it will improve your mental flexibility, improve memory, boost your brain function and cognitive ability. As we grow older, we face a lot of difficulties and changes in our routine pattern. These changes include physical, cognitive and psychological changes. Similarly, our sleep pattern also changes with the passage of time as we grow older. Sleep disturbances are also caused in most of the population over the course of time. However, it becomes a commonly occurring phenomenon in most of the older adults. People in their teens or early adulthood are also likely to suffer from sleep disturbances, but older adults are more at risk. According to an estimate, almost one half of the elderly population has not less than one sleep disorder. It is not necessary that sleep disorder of sleep disturbance in adults occur because they are not able to sleep. At times, people are not able to maintain the sleep cycle and keep waking up during night. There are a few types of sleep disorders which are among the most occurring elderly sleep disorders. It is the most occurring sleep disorder among others. Complaints of insomnia occur in older women more than older men who are 65 years or older. Its symptoms include difficulty falling or staying asleep. People who are suffering from insomnia also have early awakenings or arousals in the middle of the night. It is considered a primary sleep disorder. However, it is also found to be occurring co-morbidly with other psychological conditions like depression, chronic pain or dementia. It has been found out through researches that psychotherapy and more specifically cognitive behavior therapy (CBT) is the most effective one for treatment of insomnia. Physician and therapist prefer psychological treatment and psychotherapy for insomnia more than medications and physical treatment. Sleep apnea is a sleep disorder characterized by difficulty breathing or complete blockage of respiration. Most of the people suffering from sleep apnea face shortness or complete cessation of breath. It is found mostly in older men than in older women, and older age is known to be the most important risk factor of sleep apnea. Obesity, genetics, medications and alcohol consumption are some of the other risk factors of obstructive sleep apnea. Snoring and sleepiness during day are considered to be the most common symptoms of obstructive sleep apnea. It has also seen that dementia increases the incidence of sleep apnea as well as other cognitive problems are related to obstructive sleep apnea in older adults. It is one of the most dangerous disorders because older adults may act out their dreams if they are suffering from this disorder. Rapid eye movement sleep behavior disorder is most commonly occurs in men and it is a manifestation of their aggressive of violent behavior. With the passage of time our normal skeletal muscles named atonia are degenerated and that’s why it is difficult for patient to control their movements during sleep and they might jump, yell or kick something during their sleep. REM sleep behavior disorder is important to diagnose and to cure because it might be one of the early signs of more complex neurodegenerative disorders. This is also a commonly occurring sleep disorders in older adults. In periodic limb movements in sleep, there are repetitive leg movements, jerking or kicking by the patient during his sleep. The duration between two continuous movements during PLMS is 20-40 seconds. This can go on for the whole night and each jerk will wake the patient up causing a restless sleep and sleep fragmentation. It can be found comorbidly occurring with dementia and obstructive sleep apnea. RLS is associated with an aching sensation in legs which can only be relieved by walking and these two disorders also cause awakening and disturbed sleep in older adults. Our body system is control by internal clock which works with the daylight and darkness of night. Our body produces melatonin at night which is important for our body to sleep at night and wake up during day. However, with the passage of time the internal clock of our body weakens and production of melatonin is also decreased which is why circadian rhythm is disturbed causing sleep problems in older adults. One of these sleep disorders include Advanced Sleep Phase Syndrome which is the most occurring one and the patient has involuntary sleep and awake times. The process of dementia, which is a neurodegenerative process, is responsible for disturbed sleep patterns in people suffering from dementia. However, there are other comorbidities which can be the cause of sleep disturbance in patients of dementia. These comorbidities include REM sleep-behavior disorder, RLS, PLMS or even depression. Patients with dementia also have primary sleep disorders like obstructive sleep apnea, and they should be treated accordingly. Patients can be treated with drugs as well as psychological treatments including therapies and session for disturbed sleep patterns. If the problem persists, the need for institutionalization increases for the patients. It is harder to identify the main cause of sleep disturbances because of a number of contributing factors. However, it is of high importance to identify the real cause and treat the problem to remove the problem from its roots. It is necessary to look at the medications a patient is taking and look out for the side effects because sleep disturbance can be one of the side effects of these medications. Moreover, substance abuse is also reported to be one of the sleep disorders like caffeine can be a stimulating factor for 8 to 14 hours straight for an older adult. There are a number of causes for a disturbance in sleep pattern, a few of them are given below. As we grow older, our brain structure also changes to some extent which can cause a problem in our sleep patterns. For example, neurodegenerative disorders can cause sleep disturbance in the elderly. It is important for a person to achieve rapid eye movement sleep in order to get a fulfilling and refreshing sleep. However, in most of the older adults, it is not possible for them to REM sleep which is the deepest phase sleep, and they remain in light sleep which cause awakening and sleep fragmentation. Production of melatonin is crucial in our sleep patterns, but melatonin production decreases with the passage of time. This is the main reason of circadian rhythm being disturbed and causing disturbed sleep pattern. Problems with sleep pattern and sleep disturbances cannot only be cured by pharmacological treatment as some of these are problem psychological. Hence, a combination of psychopharmacology is the best possible treatment for elderly sleep disorders. An older adult with sleep problem is in need of a psychiatrist as well as a psychologist. It is of supreme importance to find out the underlying problem of a disturbed sleep pattern and then treat the problem instead of giving away sedatives. An older adult’s complete care is only possible if his sleep pattern is taken care of. Dementia may affect a person’s day to day functioning. That is why certain activities can be beneficial for persons with dementia. Individuals living with dementia need to feel loved, valued and included. Although dementia may be characterized by various declines and limitations, not all the abilities are lost, particularly in the initial and middle stages of the disease. Seniors with this condition can make significant contributions to a community and experience joy. Therefore, providing opportunities for people with dementia to have such experiences is vital. Research suggests various activities that are beneficial and enjoyable for persons with dementia. These activities provide these people with chances to; engage with life, relieve stress, express themselves, recover some memory and create social and emotional bonds. Below are some activities for people with dementia. Seniors with dementia remember better when they draw. In the art class, teachers do not let learners to use erasers for every stroke, even made mistakenly, is part of what makes the art what it is. This as well applies to persons with dementia, in their art, there is no right or wrong. Art programs for people with dementia together with their caregivers have been proven to improve the individual’s quality of life. Art also reduces some emotional and behavioral symptoms of dementia. The care-giver and the care-recipient can also participate in art together, which is an opportunity to interact as friends, peers or family. Examples of these programs include here:now and Meet Me at MoMA. Other hand-work activities such as mixing paints, arranging brushes or even threading a needle come in handy. The care-giver, during these activities may trigger a conversation to help the care-recipient remember earlier times. This goes a long way to assist persons with dementia, especially if the person enjoyed outdoor activities prior to diagnosis of dementia. The individual may derive pleasure from planting seeds, weeding a garden and even harvesting. The caregiver may work with the person on a regular basis and together they can maintain a whole backyard garden. The person with dementia may as well enjoy cycling, taking a walk or hiking. These activities may reduce some behavioral and emotional symptoms of the disease and they also help the person to stay healthy. Other simple activities such as feeding fish in a pond or a tank, watching birds at a feeder or tending an indoor garden can also be fulfilling. Music is an incredible and safe way to engage people with dementia. Interestingly, music has an incredible effect on the parts of the brain damaged by dementia. Music helps people with dementia to involve in more meaningful interactions. They can engage in creating music by playing an instrument or even singing. The persons can also enjoy listening to personalized playlists and this may help with their memory from earlier years. In most kinds of dementia, implicit or procedural memory; (which is the memory of something one performed practically unconsciously like playing a guitar or riding a bicycle) is the sort of memory the takes longer to erase. Playing an instrument or soft music to the person with dementia may soothe agitation through stressful times. Cooking is a great way for a person with dementia to interact with his/her loved ones. Research also shows that cooking helps an individual with dementia to eat better, and consequently, live a healthier life. However, safety in the kitchen should be a number one priority when cooking. To assist the person with dementia, the caregiver can give direction and supervise the person as he/she cooks. To avoid confusing the person, one can make the kitchen setting simple and only remove only the things to be used during that session. Including jigsaw puzzles as part of dementia care is an incredible way of providing an entertaining activity to the person with the condition. Jigsaw puzzles slow down decline and this helps by delaying worsening of symptoms of the condition. Engaging in mental stimulating activities such as jigsaw puzzles also help a person with dementia to lead a better quality of life and to improve his/her communication, thus better interactions with the people around them. Solving jigsaw puzzles also stimulates the release of a feel-good chemical known as dopamine which gives the person a natural feeling of happiness and enjoyment. Jigsaw puzzles may also help to calm down a person with dementia, in that it helps the person to meditate and thus it has a therapeutic effect on the individual’s brain. Reading stories is a light exercise for the mind and imagination. This is a great activity for persons with dementia. They can read short stories rather than long books and preferably, the stories that relate with their past. This will enable them to apply their long-term memory. On the other hand, creative storytelling is another good activity for someone with dementia to connect with loved ones. You can use fun images and ask the individual about his/her thoughts on the image. You can use TimeSlips which is a free website to assist you during the story telling sessions. It is important to give the patient ample time to express their thoughts and tell their story. Activities around the house give fulfillment to someone with dementia, and they also help the person maintain the life skills learn prior to the diagnosis. Organizing household or even office items is also a stimulating activity for someone with dementia. However, they may need assistance from a caregiver or a loved one for their safety as they participate in the chores. A dementia diagnosis means that the individual has to live differently. However, in order to live well with dementia, one can still continue to enjoy his/her hobbies together with family and friends. As people get older, it is common to sleep less during the night. However, this should not be taken as a normal situation. If you have a responsibility of taking care of an older person, ask for advice from a doctor. Enquire if certain medication could be having pain as side effects and if that’s the case, find out whether reducing, increasing or changing the medication and its timing will help to calm the situation. Consult if taking painkillers before going to bed helps one get better sleep. Because according to research drugs like antihistamines help. You should also take them to be tested for any ailments which affect older people like arthritis. It is good to reduce their caffeine intake. If they addicted to coffee or tea, switch it with decaf without their knowledge because caffeine is known to make someone lose sleep at night. Their liquids intake before going to bed should be regulated and you should make sure they pee just before retiring to bed. You should also encourage them to take more water during the day and less at night. If you make an elderly person stick to a regular daily routine, their body will get used to it. Therefore, establish a specific duration in which they go to bed. For example, if you decide they should sleep from 10pm to 7am, make sure they achieve that everyday and with time, they will adapt to the schedule. Also ensure that they sleep less during the day especially in the afternoon so that they can get enough sleep at night. In order to calm them down and ensure that they get enough sleep at night, play some soothing music an hour before bed or do some light massage on their bodies as this loosens up their muscles and helps them sleep quickly. To ensure that they sleep comfortably, ensure that the room temperature where they sleep is moderate and not too cold or too hot. Keep their rooms clean and ventilated to prevent discomfort when they are sleeping. Also check their mattresses and ensure that they are comfortable enough and supportive as well. It is also good to ensure that they sleep with a pillow or a stuffed animal as cuddling the animal when sleeping makes them feel warm and safe. When older people get to sleep, it is advisable to ensure that the environment is peaceful and silent enough. Get rid of loud music and any form of noise that will affect them. Holding a party in a house with an elderly person and especially during their sleep time is totally uncouth as it gives them discomfort making them lack sleep. Everyone feels comfortable when they are clean and warm. Make sure that the aged person you are taking care of takes regular baths. When going to sleep, encourage them to take a warm bath because after taking a warm bath, the body temperature drops and makes one feel tired. On the brighter side it also helps one feel relaxed and more ready to go to bed. In a cold season, ensure that they a warm enough. You can help them warm up their bodies when it’s too cold by having them sit next to a fire or installing a heating system in the house to regulate the temperatures and ensure that they are comfortable with the current room temperature. Establish the allergies which affect the elderly person and keep them away from them. If it is dust, keep their environment free from dust. If they like pets and have a habit of sleeping with them in the same room, make another room for the pets to sleep in. Different people have different ways of sleeping. However, the elderly normally suffer from various body pains. Therefore, their sleeping positions should be dictated by whether they suffer from any pain in their body. As indicated in this video, different sleeping positions have different ways of being handled to prevent spinal injury. There are three different sleeping positions: there are those who sleep on their sideways, those who sleep on the back and those who sleep on their stomach. For the side sleepers, ensure that they have a pillow under their neck and on their shoulders to align their spinal cord well. For the back sleepers, a pillow shouldn’t be added under the neck to prevent their neck from bending forward. For the stomach sleepers, care should be taken to ensure that the spine is well aligned. In as much as the older person may be used to a certain sleeping position, if they are undergoing any type of pain, it should be the one to dictate their sleeping position in order to prevent more injuries. For someone with back pain, it is advisable to sleep on their side or on their backs. For those suffering from isthmic spondylolisthesis, they are advised to use a reclined bed or an adjustable bed. 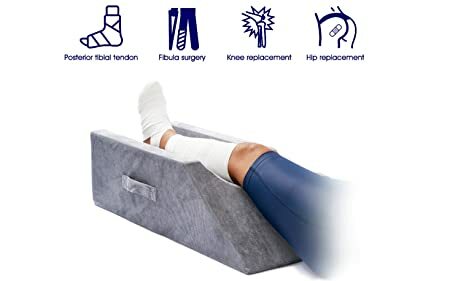 If an adjustable bed is more expensive, there is a mimic which works the same way known as a bed wedge for those suffering from neck pain and knee pain, they are advised to sleep on their backside or sideways. For general hip pain, they should sleep on their side with their knees bent and for those with a heartburn, it is good to sleep on the sideways in an inclined position. This can be done by ensuring that they are only in bed when they are sleeping. Once they wake up, they should leave the bed and sit somewhere else. Therefore, they can’t be tempted to go back to sleep again and use the sleep meant for the night. Health is a major factor in anyone’s life. Considering old age, poor diet is a major drawback and can make them uncomfortable, sick and weak. It is good to feed old people with plenty of fruits and vegetables as this boosts their metabolism and helps them acquire good sleep and gets rid of any prospective infections. Finally, it is good to take care of the elderly in all manner of ways and make sure they are comfortable, warm and cosy. It is disturbing to wake up every night and cut off your sleep to take care of them whenever they wake up because of a discomfort or pain. Because this is inevitable among old people, we should focus on improving their sleep and cut down on their discomfort and pain by using the tips I highlighted above. If you have a friend who needs assistance in helping their elderly ones, share this article with them. If it benefited you, please give your feedback in the comments section given below. The average room temperature for a normal human being is 370C. However, the room temperature specifications vary with age, gender and health status of an individual. According to research, the ideal room temperature for the elderly people is estimated to be 36.10C. Any temperature much warmer or colder than the given value may affect them negatively. Therefore, I will herein discuss different ways on how to maintain the ideal room temperature in elderly people’s bedrooms. The clothes we put on determine how warm we are. Have you ever tried to put on two thin cardigans and compare the warmth you feel with when you put on a single thick cardigan? According to science, it is advisable to dress elderly people with many thin layered clothes as opposed to one thick clothing. This is because many thin layered clothes trap more warm air close to the body. Woolly clothes and thermal clothing also serve the same purpose to keep the elderly warm. Bedrooms are known to be the coldest rooms in a house and the floor may be way too cold for elderly people. It is advisable that they put on a pair of socks on their feet to keep their toes warm when walking around. It is said that most heat is lost through the head and the neck and in order to get rid of that, elderly people should put on a scarf and a hat when indoors in a chilly weather. In order to keep warm, an elderly person’s house ought to be well insulated. The walls should be resistant to heat loss so as to maintain enough heat in the rooms. Curtains should be drawn the moment it gets dark to prevent heat from escaping and cold air flowing in. It is recommended that the minimum room temperature for a bedroom should be 180C. Therefore, heating systems should be installed in a house and turned on to ensure there is enough warmth as required. However, they should be checked regularly and turned off when necessary to avoid extreme temperatures in the house. The bed is well known as the main asset in a bedroom. In a chilly weather especially during winter, beds tend to be too cold hence mechanisms to warm them have to be applied in order to make them comfortable for elderly people to sleep in. Electric blankets can be used and they should be checked regularly to see if they are worn out. There are water bottles specially designed to provide warmth in the bed and they should be put into use. However, great care should be taken when using electric devices to provide warmth for the elderly because they might not be conversant with the operation of the devices and in case of a fault, their safety may be at a risk. To ensure safe operation of these devices, proper maintenance should be done twice a year to ensure that they are in a good working condition. When going to bed, it is advisable that we ensure they put on warm clothes like a thermal underwear, a hat and bed socks. The beddings they use should be warm enough and able to retain heat throughout the night. Walking generates heat. Since during cold seasons elderly people can hardly step out of the house for a walk, we should give them small duties which will make them move around the house. We can give them house chores to do and send them to get snacks from the kitchen. There are plenty of healthy foods and drinks recommended by experts which are able to keep the body warm for a long time. To keep the elderly people’s energy levels up, we should give them plenty of fruits and vegetables during the day. Similarly, giving them one hot meal in a day and plenty of drinks serves the same purpose. During winter seasons, it is hard for elderly people to go out and interact socially with people. In order to maintain an ideal room temperature for them, engaging them in social activities within the house like playing mind games and telling stories keeps their minds active and they shun away boredom. This way, they can’t concentrate on the cold weather. Ensuring there is ideal room temperature for elderly people is a responsibility we should all take up because these are special people in our lives who need special care. Exposing them to very cold temperatures makes them susceptible to infections and makes them uncomfortable. We should always strive to keep them warm in all situations and ensure their bedrooms are warm enough because that is where they spend most of their time. I hope you enjoyed reading my article. Did you find the article useful? Please share your views in the comments section below and share the article with a friend and let us spread awareness on how to keep our elderly relatives and friends warm.